What’s in my bag? What’s in your bag? 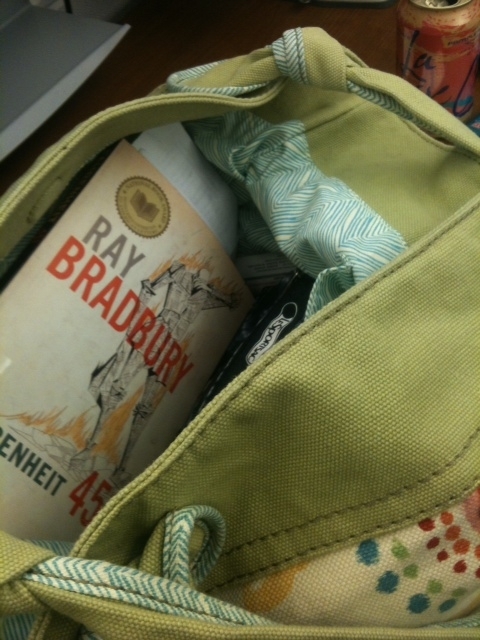 Today we are playing a game called what’s in your bag this week? Before we get started please first note how literary I am – I just happen to have a copy of “Farenheit 451” in my bag today. Don’t get too excited it’s for my bookclub which is this week and I’m only on page 60. I also have about a gazillion crumbs and maybe a small child in there. Shhh. 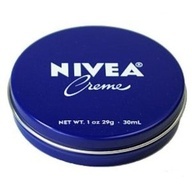 Nivea Handcream – .99 cents, CVS. This is my very favorite hand moisturizer and I always keep a tin in my purse. Look how cute this tin is! Don’t be deceived though – this is a very emollient moisturizer and a little goes a long way. One tin will usually last me a few months and doesn’t take up a whole lot of purse space. It has a very pleasant lemon scent. Sugarbomb lip gloss $16, Ulta. Sugarbomb is one of Benefit’s new lip glosses that came out in the last month. Sugarbomb was an impulse buy and at first I was a little underwhelmed by the product, but it has really grown on me. 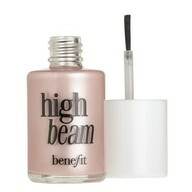 The color is a very flattering pinky brown that is moisturizing, sheer and shimmery. My favorite lip glosses are ones that I can put on without looking in the mirror and Sugarbomb fits the bill. I would really like to try this in coaralista too. Every summer I buy pretty new sandals that are hell on my feet. This year is no exception, so I started carrying friction block and a few band aids in my bag. This product is pure genius – it looks like a little mini deodorant and you apply anywhere your evil pretty shoes are rubbing up against your feet . Friction block really helps with preventing blisters until you break your new shoes in. Also, it’s small enough fit in your clutch, awesome. In the summer I think its helpful to keep some blotting papers around for touchups and managing “the shines”. Most skincare companies have jumped on the bandwagon now and there are a million different kinds (mattifying, shimmery). 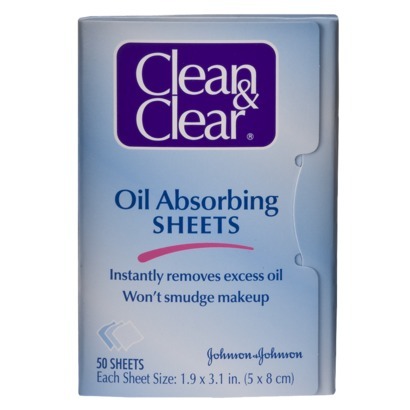 I’ve always liked Clean and Clear’s version which is basic, inexpensive and does the trick. The packaging is light and about the size of a credit card, so it doesn’t take up much space. I keep a sample tube of this in my bag for days when I feel haggard or I need a quick boost if I’m going out after work. Putting a little of this highlighter on the inside corners of your eyes and the top of your cheekbones really makes a major impact with little fuss. You will look awake and glowy people! That’s the dream, right? I have been make-up free for three weeks now – not even a curlin’ of the lashes. I’ve used the Trader Joe’s Tea Tree Oil Pads – 3.50 for 50 because it’s so darn hot. I really love these things. Bea, my daughter, started using them, and they are working miracles on her active adolescent skin. 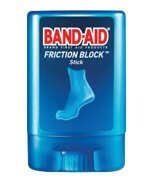 I’m going to tell everyone I know about the Band-Aid friction block. Thanks again Notes. Jealous! Thanks for the tip, I’m going to try them out. No makeup (sigh! Maybe I’ll start prettifying myself again once the boys can both dress themselves), but a pair of prescription sunglasses. Great frames, so they look cool, and when I remember to wear them I don’t worry about a) squint lines or b) macular degeneration, which I’m at a higher risk of as a melanin-challenged woman.